Join us every month for our free morning networking mixer “Coffee & Commerce.” Whether you're looking to make new business connections or just want to exchange ideas with other small business owners, Coffee & Commerce is the perfect opportunity to enhance your professional network. Come sip, share and succeed at Coffee & Commerce, the third Wednesday of every month, at 8 a.m. at Diag Bar & Grill, 2856 N Southport, Chicago, IL. Stop by for a great brew compliments of Diag Bar & Grill, stay for the great company and conversation. 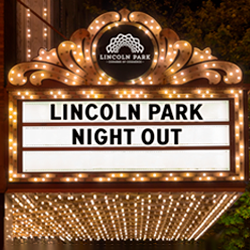 This event is hosted in partnership with the Lincoln Park Chamber, Lakeview Chamber and Small Business Advocacy Council. This is a free event to members of the LPCC and Lakeview chambers and their guests.